How about folks who are in "reserve" ? Do they play in "opposite" team ? Like most parents, I am also wondering if there is merit in spending $250 for my kid? Reserve/regular player or anything else, the fact is these kids are going to play 40 over game under supervision of coaches.. this is like kick starting players' maturity level to play 40 overs, where else are we going to get this kind of experience? The games will be between Selected Teams Vs (Reservers + Others) or based on the Coaches plans. We want to make sure that every reserve players becomes part of this. Let say If couple of players get injured from the First 14 players during this training session or cannot make it to this trip for some reason then it is going to be the reserves that come into play. Where do we look for a replacement? Reserve players of course. So It is as important that every reserve player gets the equivalent training for this program so that He is ready to be part of the team if called. Looks like this camp is mainly for kids who are playing for thanks giving.Just want to make sure if every kid will be trained or concentration is only for kids who are playing for thanks giving, considering the fees and time we would have to spend. I would like to confirm if it is worth pushing my son before I register. This is the first time these kids get to play a 40 overs game and at the same time they get to coached by two international players. This Camp will focus on all the kids that will participate in this program, these kids that got selected and the kids that are in the opposite team. This is a rich experience that everyone who is going to be part of the program. But if the fees is a concern then the decision is totally upto the parents. 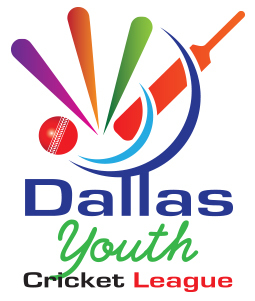 The idea is to have a match practice for the selected kids team and for others give them the experience of playing a 40 overs game, match fitness and advanced match situation training which would be given to every player. The cost of this coaching is more due to the less number of players we are training and the extra hours spent by the coaches which would lead to increase of skills to anyone who attends this camp. These matches would be played with the team that got selected Vs the others that register to be part of the training program. They will get to be trained exclusively under Asif Mujtaba and Mervyn Dillon for the duration of the program. I am hoping the money spent is worth it for these kids as the main focus in these 5 weeks training program is they will get the match experience and also get the fitness training. Kids will be taught how to play a 40 over game. How to Rotate the striket, how to carry the team, how to bat longer. Each bowler can bowl 8 overs. Kids will be assigned role. who is the right person to bowl with the new ball. Real time match situations. I want to arrange a sereis of training matches of 40 overs before they proceed for the tournament as they have never played 40 overs before. They can learn the following techniques and tactics. 2. Batsman can learn how to carry their team while they are going good at the crease. 3. Batsman can learn if the team lost quick wickets how to bat and keep their wickets intact for no further damage to team plus how to make runs in that kind of sitaution. 4. We will find out who can play as an opener and middle order, which batsman appropriate for what kind of situation, who is compact and who can attack the ball. 5. A bowler can bowl maximum 8 overs in the match. 6. Which bowler can use the new ball and old ball well. 7. Whcih bowler can bowl in the last overs. 8. Bowler can learn if they take wickets how to attack to a new batsman not giving any chance to settle. 9. Bowler can learn if a batsman is furious who to bowl. 10.Fielders will be get use to field 40 overs without getting tired, attentive and put all their efforts till end. 11.Who is good in the circle and outside, but basically we would switch every fielder to different field position so they can understand the importance of every position. With the under 15 tournament in mind as we as the continued development of all the kids I recommend that we have some practice mathces as well as some more practice sessions if possible. We have all agreed that one day per week is no way close to what is required,looking forwad to continued support from the parents. These kids have what it takes but it has be a continued process where we all work together,with my name attached u want these kids to show that they are being coached by former players. Lets work together and I have no doubt they are going to make us all very proud.